Join the Stress Free PCS School Transition Challenge and change how you move with your military child. This free opportunity will give your military family all the tools you need to have a smoother PCS! Sick of stressing over your military move with kids? Make it easier with the PCS School Binder, from the PCS School Transition Challenge and MilKids Ed! You probably already have one or two or a billion PCS binders kicking around your house. Somewhere. But did you know you should have a school PCS binder too? Instead of throwing even more papers into your already overcrowded PCS binder, make mini-binders to handle only the school stuff. It’s a whole new ballgame when you add a school-aged child to the PCS mix. However, there are ways to help smooth the transition. So you got your orders, and you have a kiddo or two in school. What’s next? 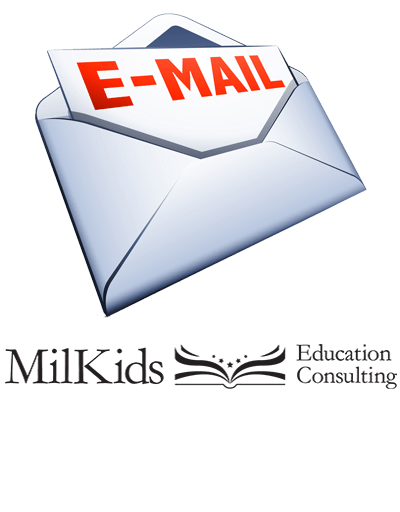 Let me help you out with an easy to use PCS Timeline for MilKids! Moving to a brand new place every three or so years is just life. We arrive, we live, we pack, we move. It can be super easy to get caught up in the day-to-day stuff that we forget to explore our new hometowns.